It's Pi Day today, and also Einstein's 139th birthday. MIT celebrates it at 6:28 pm — in honour of pi's arch enemy, tau — by sending out its admission notices. And Stephen Hawking died today. He will leave a great, black hole in modern science. I saw him lecture in London not long after A Brief History of Time came out. It was one of the events that inspired me along my path to science. I recall he got more laughs than a lot of stand-ups I've seen. But I can't really get behind 3/14. The weird American way of writing dates, mixed-endian style, really irks me. As a result, I have previously boycotted Pi Day, instead celebrating it on 31/4, aka 31 April, aka 1 May. Admittedly, this takes the edge off the whole experience a bit, so I've decided to go full big-endian and adopt ISO-8601 from now on, which means Pi Day is on 3141-5-9. Expect an epic blog post that day. Anyway, I will transcend the bickering over dates (pausing only to reject 22/7 and 6/28 entirely so don't even start) to get back to pi. It so happens that Pi Day is of great interest in our house this year because my middle child, Evie (10), is a bit obsessed with pi at the moment. Obsessed enough to be writing a book about it (she writes a lot of books; some previous topics: zebras, Switzerland, octopuses, and Settlers of Catan fan fiction, if that's even a thing). 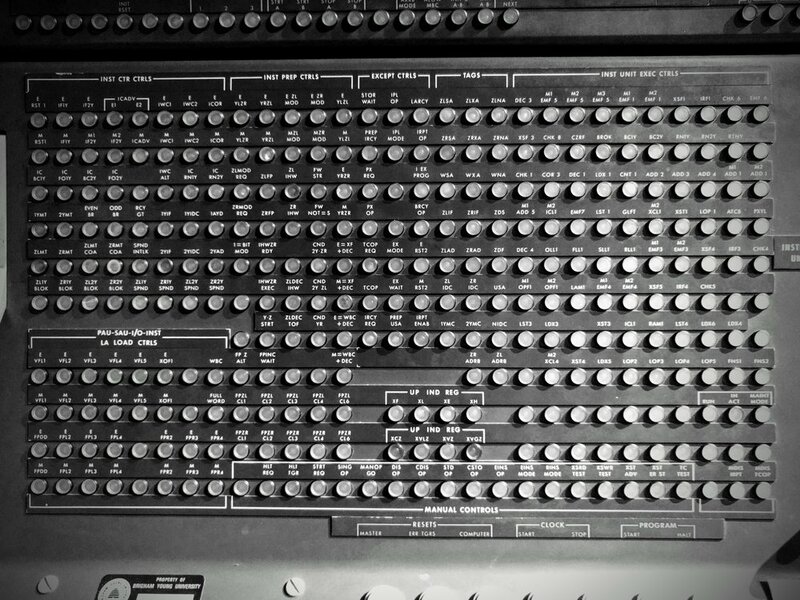 ...which is correct to 50 decimal places. Here's the bit of Evie's book where she explains a bit about transcendental numbers. 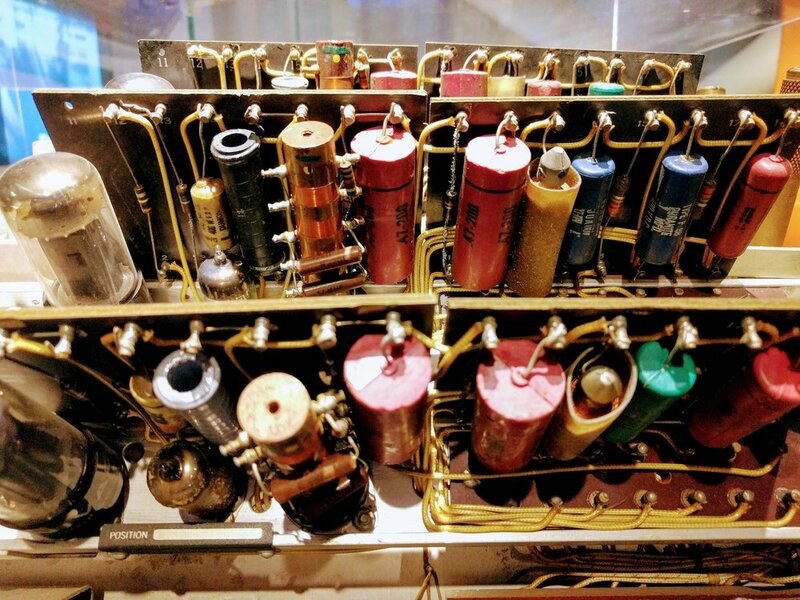 I was interested in this, because while I 'knew' that pi is transcendental, I couldn't really articulate what that really meant, and why (say) √2, which is also irrational, is not also transcendental. Succinctly, transcendental means 'non-algebraic' (equivalent to being non-constructible). Since √2 is obviously the solution to \(x^2 - 2 = 0\), it is algebraic and therefore not transcendental. Weirdly, although hardly any numbers are known to be transcendental, almost all real numbers are. Isn't maths awesome? Have a transcendental pi day! The xkcd comic is by Randall Munroe and licensed CC-BY-NC. It's that time again! If you're tired of giving the same old rocks to the same old geologists, I've got some fresh ideas for you. My wife came back from town recently with this spectacular soap, from Soap Rocks. I mean, just look at it. It's even better in real life. You just can't go wrong with a beautiful hammer, like this limited edition Estwing. Don't forget safety glasses! Or go miniature, with these tiny (Canadian!) hammers in gold ($859) or silver ($249). Steepish prices, but these aren't exactly mainstream. More jewellery: geode earrings. Hopefully not too massive. It's the obligatory t-shirt collection! Here are some that jumped out at me — and one of them is even a bit geophysical. Available from (left to right) Threadless (here's another fun one), Etsy, and Metropark. There are loads of books in our reading list — some of them are essential, and some are totally workable as gifts. 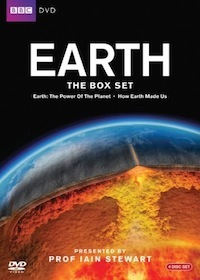 It would be remiss of me not to mention our own new book, 52 Things You Should Know About Geology — perfect (I think, but I would say that) for students and professionals alike, especially those in applied/industrial geoscience. I'm a big fan of Edward Tufte's beautiful books about data visualization, and they are now available in paperback. All four books for $100 is truly a bargain. It's not a book exactly, but I do like this minerals poster. Although less useful, this arty version is even prettier... and this cushion is verging on spectacular. Kids like geology too. A Rock Is Lively manages to be beautiful and informative, Rocks: Hard, Soft, Smooth, and Rough focuses on the science, and If Rocks Could Sing is just cute. If it's toys you're after, you can start them young with this wooden stacking volcano, or you could go for this epic Lego globe... (not for the half-hearted: it will require you to load the Digital Designer file and order a large number of bricks). Still stuck? Try my Christmas post from last year, or the year before, or the year before that. I highly recommend Evelyn Mervine's posts too — loads more ideas there. The T-shirt and book cover images are copyright of their respective owners and assumed to be fair use. The soap picture is licensed CC-BY. If you're still stuck, don't miss this epic list on Geolog, the official blog of the EGU. (And while you're at it, do check out their blog network). ...and Evelyn Mervine has put up her 2013 installment — class and quality, as per. It's that time of year! Students are sitting exams, the northern oil patch is mobilizing, my boatshed office gets a bit chilly, and everyone is talking about AGU. And friends of geologists start wondering what the heck to get for them this Yuletide. Maps are the field geoscientist's most basic tool. I have a soft spot for beautiful old maps. And beautiful maps are beautiful. Also expensive. But also beautiful. A balloon flight over somewhere as geologically remarkable as Cappadocia (right), the Grand Canyon, Malham Cove, or the Bay of Fundy would give anyone, geologist or not, something to remember forever. Especially if they are terrified of heights. 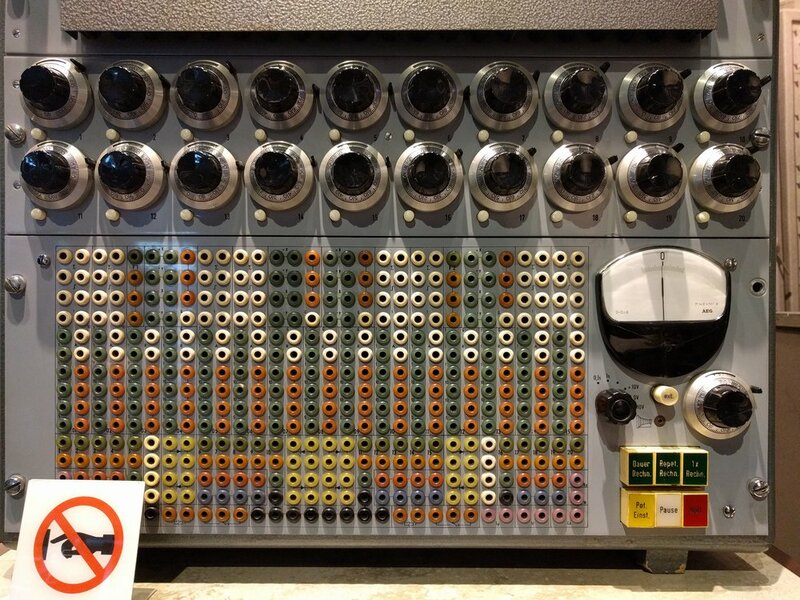 I can't even tell you how much I want a portable Geiger–Müller counter. Almost as much as I want one of Little River's stream tables in my garage. (You could always start off with a budget version). Those Little River guys caused quite a stir with their scale bar pencils last year — you'll have to call them for one, but in the meantime, the forensic photography world has lots of nice scales for the field and lab. Geologists aren't exactly sartorially renowned — unless there's GoreTex to be had, obviously — and T-shirts are de rigueur in all conceivable social situations. Avoid that tempting Schist Happens slogan and go for awesome design instead. Like these nice cross-sections (below), only slightly spoiled by the lettering and those dodgy sleeves. I think the peace sign is my favourite. The mineral samples are pretty great though. If you like textiles, but not tees, try some geological embroidery. T-shirts, while practical and (sometimes) cool, aren't seasonal apparel in every part of the world. We Canadian geologists mostly don chunky jumpers and stay indoors in the winter. So what we need is books. Here's a book about geology and whisky — an ethereal combination. (Read it with a glass of this lovely stuff). And here's a beautiful book of Postcards From Mars. Want something more arty? Andy Goldsworthy is your man (left). 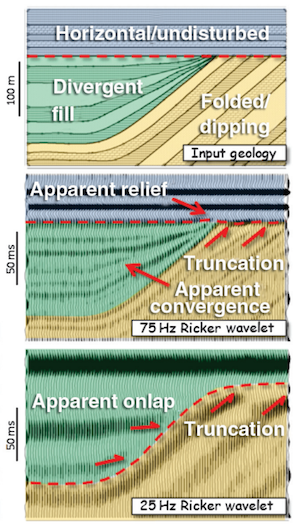 And finally, in a shameless plug, who doesn't want to know more about geophysics? Still stuck? Check our reading list. Not good enough? There are lots more ideas in our 2011 giftology and 2010 giftophysics posts. 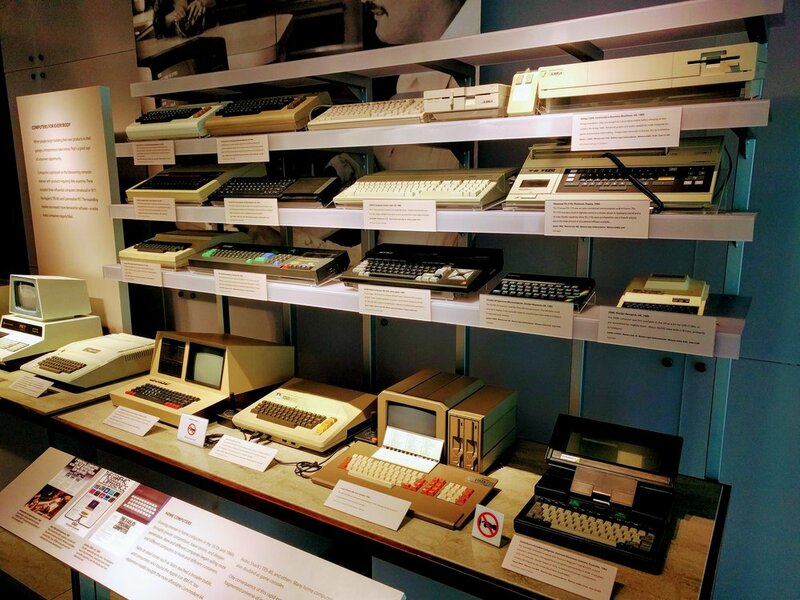 And you'll find even more geeky awesomeness over at Georneys. If, after all that, you spot something even more giftological, please tell us about it in the comments! 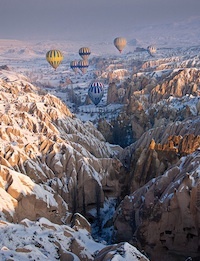 The photo of balloons over Cappadocia is licensed CC-BY-NC by Flickr user Stephen Oung. The T-shirt images are copyright of their respective owners and assumed to be fair use. The Goldsworthy image is licensed CC-BY-SA by Wikipedia user mikeanegus. A quiz: how many pieces of information do you need to accurately and unambiguously locate a spot on the earth? It depends a bit if we're talking about locations on a globe, in which case we can use latitude and longitude, or locations on a map, in which case we will need coordinates and a projection too. Since maps are flat, we need a transformation from the curved globe into flatland — a projection. So how many pieces of information do we need? The answer is surprising to many people. Unless you deal with spatial data a lot, you may not realize that latitude and longitude are not enough to locate you on the earth. Likewise for a map, an easting (or x coordinate) and northing (y) are insufficient, even if you also give the projection, such as the Universal Transverse Mercator zone (20T for Nova Scotia). In each case, the missing information is the datum. Why do we need a datum? It's similar to the problem of measuring elevation. Where will you measure it from? You can use 'sea-level', but the sea moves up and down in complicated tidal rhythms that vary geographically and temporally. So we concoct synthetic datums like Mean Sea Level, or Mean High Water, or Mean Higher High Water, or... there are 17 to choose from! To try to simplify things, there are standards like the North American Vertical Datum of 1988, but it's important to recognize that these are human constructs: sea-level is simply not static, spatially or temporally. To give coordinates faithfully, we need a standard grid. Cartesian coordinates plotted on a piece of paper are straightforward: the paper is flat and smooth. But the earth's sphere is not flat or smooth at any scale. So we construct a reference ellipsoid, and then locate that ellipsoid on the earth. Together, these references make a geodetic datum. When we give coordinates, whether it's geographic lat–long or cartographic x–y, we must also give the datum. Without it, the coordinates are ambiguous. How ambiguous are they? It depends how much accuracy you need! 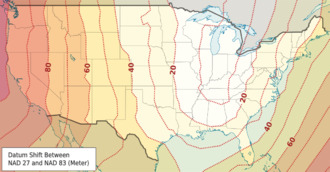 If you're trying to locate a city, the differences are small — two important datums, NAD27 and NAD83, are different by up to about 80 m for most of North America. But 80 m is a long way when you're shooting seismic or drilling a well. NAD27 — North American Datum of 1927, Based on the Clarke 1866 ellipsoid and fixed on Meades Ranch, Kansas. This datum is very commonly used in the oilfield, even today. The complexity and cost of moving to NAD83 is very large, and will probably happen v e r y s l o w l y. In case you need it, here's an awesome tool for converting between datums. NAD83 — North American Datum of 1983, based on the GRS 80 ellipsoid and fixed using a gravity field model. This datum is also commonly seen in modern survey data — watch out if the rest of your project is NAD27! Since most people don't know the datum is important and therefore don't report it, you may never know the datum for some of your data. WGS84 — World Geodetic System of 1984, based on the 1996 Earth Gravitational Model. It's the only global datum, and the current standard in most geospatial contexts. The Global Positioning System uses this datum, and coordinates you find in places like Wikipedia and Google Earth use it. It is very, very close to NAD83, with less than 2 m difference in most of North America; but it gets a little worse every year, thanks to plate tectonics! OK, that's enough about datums. To sum up: always ask for the datum. If you're generating geospatial information, always give the datum. You might not care too much about it today, but Evan and I have spent the better part of two days trying to unravel the locations of wells in Nova Scotia so trust me when I say that one day, you will care! Disclaimer: we are not geodesy specialists, we just happen to be neck-deep in it at the moment. If you think we've got something wrong, please tell us! Map licensed CC-BY by Wikipedia user Alexrk2 — thank you! 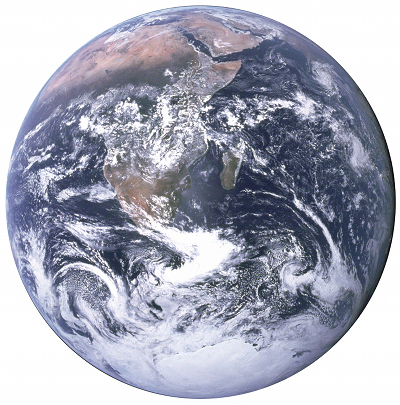 Public domain image of Earth from Apollo 17. The giving season cometh — are you angling for a lump of coal again? Coal balls — for the geologist who has been extra good this year. How do you measure geological goodness anyway? Number of samples taken maybe, or papers written, talks presented, blog posts posted, students instructed, children impressed with the volcano–earthquake–dinosaur trifecta. If you're looking for things to light up a geo-nerd you care for, here are some ideas. Single malt whisky comes from Scotland, like water, rocks, and tough folk. What could be more geoloigcal? Don't know where to start? Look out for Bruichladdich ROCKS. The SoCal Beer Company brews a nice-looking Seismic IPA but <cry> I can't find a shipper. There's always chocolate pebbles, or Brighton Rock. It's not just geophysics nerds that need a Quake Catcher Network seismometer. I read a blog post by @alandpitts about his USB microscope and now I want one too, only $110 for now. The Lytro is the must-have camera for 2012 (at least until the ball camera comes out)... full lightfield imaging lets you focus later. Totally amazing—physics in action! There are some passionate GigaPanners in the geology world, capturing outcrops with a billion pixels. All you need is your camera and a GigaPan mount. 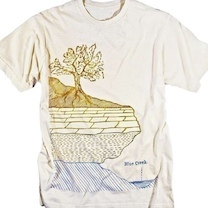 Geological T-shirts can get a bit lame and heavy on the puns, but some of Geoshirt.de's are wicked. And German. Achtung! 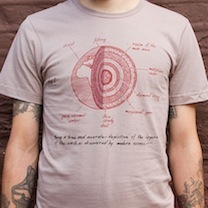 If you're into microfossils, check out this diatomically correct shirt. And there's always ThinkGeek, especially this heavy metal shirt. 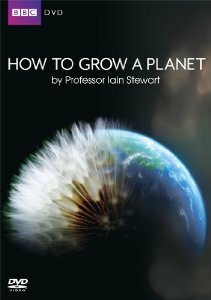 If the geos you know just like to read, keep them quiet with our reading list. If you're still stuck, there are lots more ideas in last year's giftology post — that Triceratops is still for sale! Rock sweets image from flickr user su-lin and licensed CC-BY-NC-ND. Low-res T-shirt image considered fair use. Don't miss Evelyn Mervine's geo-Christmas gifts post at Georneys. In reponse to Evelyn's post, Tony Martin tweeted about another geological beer, Pangaea. Geologists are not difficult to buy gifts for. In fact, you could do worse than just filling a shoe box with rocks from your garden. But if you want to, you can excite and inspire a geologist with some new kit, a nice map, or a piece of meteorite. Geophysicists might be slightly trickier to please. A book on Fortran? A couple of ki's of dynamite? Best thing is to accidentally on purpose treat them like a geologist. After all, it's the thought that counts! Features to look for include clinometer, declination adjustment, and a sighting mirror. A bubble level and a scale bar are nice to have. Seasoned field geologists will already have a favourite, so steer clear unless you know what they need. You can't go wrong with any of these excellent gifts. 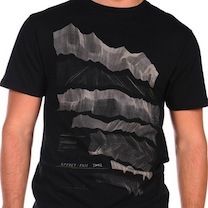 T-shirt — Brilliant T-shirt, $cheap but sold out so please vote for its return! These gifts speak for themselves. Joy guaranteed.